Remote Viewing magazine looking for issue 8 content. A beginner’s guide to Remote Viewing. Ariel School UFO Encounter 1994 – RV project. 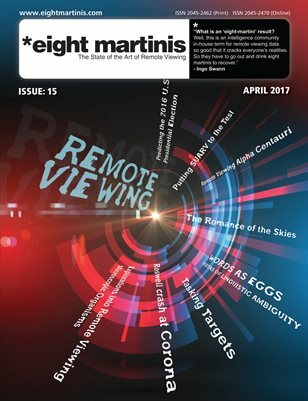 eight martinis – Remote Viewing magazine looking for issue 8 content. 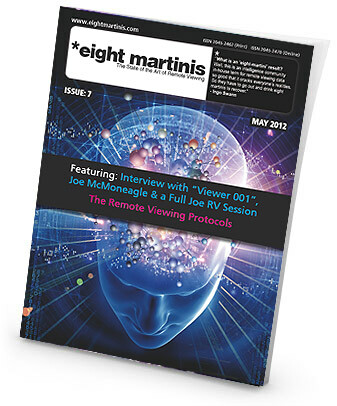 Eight martinis – Remote viewing magazine is now looking for article, examples and news for its eight issue. Please contact me if you would like to include anything or if you even have suggestions/ideas on what you’d like to see. and deliver by end of October. http://www.eightmartinis.com/submit-an-article – details on how to submit material. Eight Martinis Remote Viewing magazine.